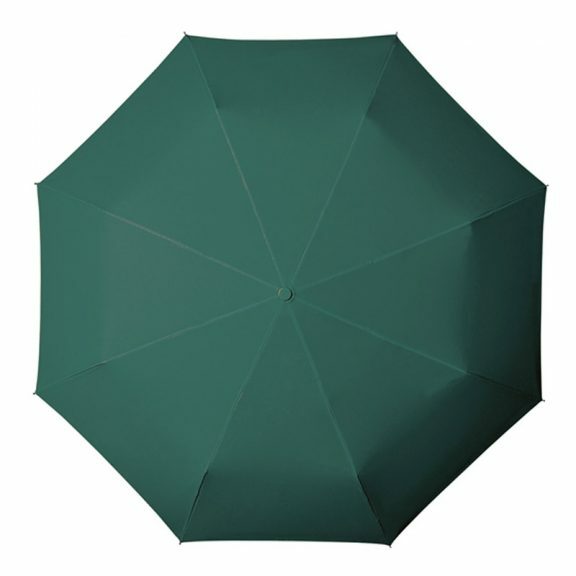 Looking for a quality automatic green umbrella? Meet the mean, green auto-open telescopic MiniMAX®. 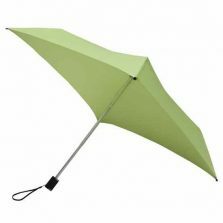 A compact, folding travel umbrella that’s both easy to use and easy to store. 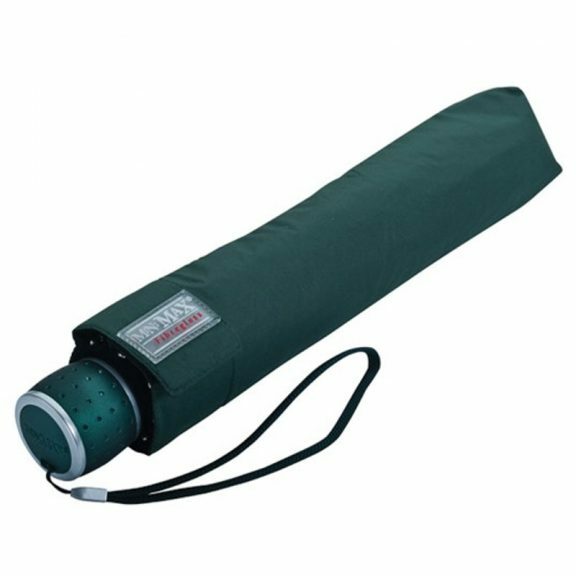 This compact umbrella features a black three section folding telescopic shaft and a matching green rubber coated handle. 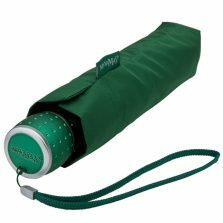 Also, this great green umbrella comes with a coordinated green, slip-on carry sleeve and wrist strap. As well as being aesthetically pleasing, the MiniMax boasts a top quality automatic opening mechanism. 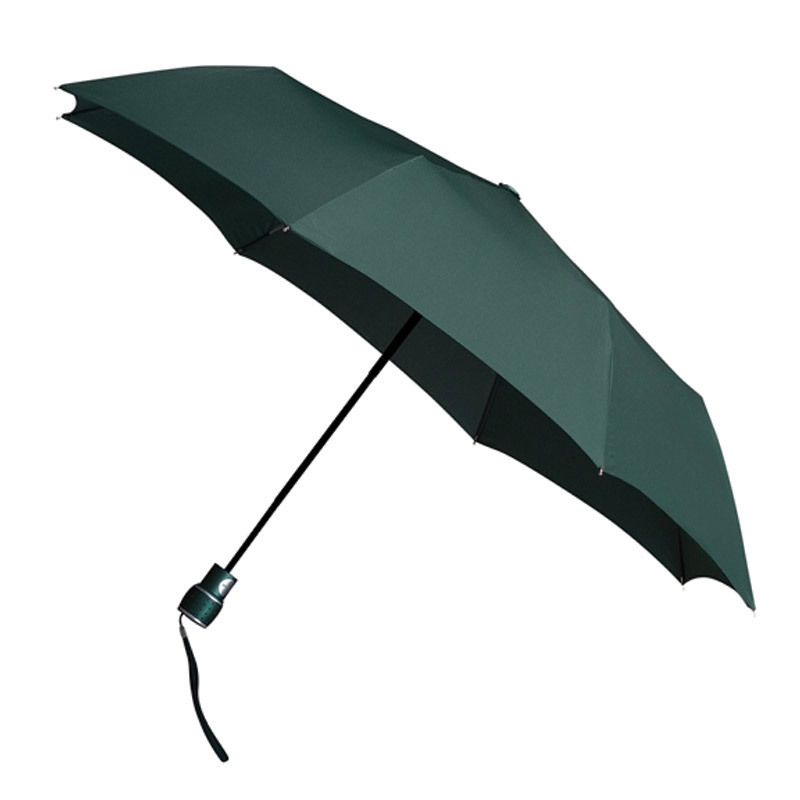 This smart compact/travel automatic green umbrella is only 29 cm / 11.5″ long. 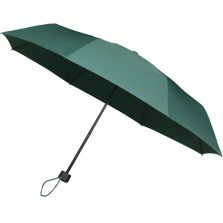 The canopy of the MiniMax green folding umbrella has a span of 100 cm / 39.5″ and is made from a high quality, waterproof material. If you’re looking for a top quality compact umbrella, then this could be just what you need. 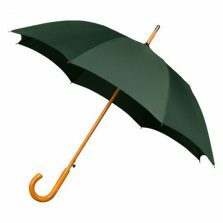 This is a good quality umbrella. Very space efficient, protective and high quality.